Congratulations on taking the first step to acquiring your aircraft. SCM Aviation is dedicated to finding the perfect aircraft for your needs. The perfect aircraft selection, however, can be a daunting task. With more than 20 years of aviation experience, SCM Aviation will find the right plane for your needs by searching through a vast collection of affordable aircraft that may not be available to the general public. We assist with the logbook inspections, pre-purchase inspections, modification supervision and established of services or flight departments. Our clients have a partner throughout the acquisition process and beyond. To better understand your aviation needs, please fill out the short form below. 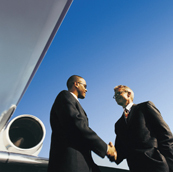 A representative from SCM Aviation will contact you shortly and partner with you through your aircraft acquisition. How many hours do you anticipate flying per year?